Dr. William J Ryan is a clinical psychologist in Brooklyn, NY. He provides comprehensive traditional and non-traditional psycho-therapeutic services, for all ages, in a confidential, relaxed atmosphere. He is sensitive to the needs of traditional and non-traditional families and the LGBT community. His special interests include: Finding Personal Empowerment, Anxiety, Depression, Anger, Relational Issues, Parenting Skills, and Sexual Addiction. He also specialize in working with marital and pre-marital couples who want to make their relationship a happier one. Dr. Ryan has worked with thousands of individuals & couples to help them create the connection they desire in their relationships. Dr. Ryan’s couples are usually out of therapy in about ten visits, while many marriage therapies last months or years. He uses an action-based approach, teaching couples to be curious about their partner, how to “read” their partner, and to provide what the other needs regardless of whether the giver understands the need. Couples work begins with a 3-hour Intensive, designed to heal and improve the relationship for deep, intimate connection. With precision and accelerated techniques, Dr. Ryan leads couples along the steps to full-throttle relating. Dr. Ryan also provides Criminal Forensic Assessment. Dr. Ryan’s practice has been recognized as one of the top Brooklyn Psychology practices. 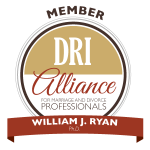 Dr. William Ryan founded the Couples Institute NYC, offering therapy and intensive workshops for couples, individuals and parents, as well as training for clinicians wanting to learn his methodology. A family therapist and teacher for more than thirty years, Dr. Ryan knows how to lead couples on a step-by-step journey to greater emotional intimacy and fulfillment. In his passionate pursuit of excellence, Dr. Ryan has become skilled in numerous methods to help couples. He has trained directly with world-renowned couples therapists. 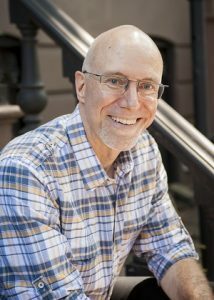 Dr. Ryan has studied Relational Life Therapy™ with its founder Terry Real, Structural Family Therapy with its founder Sal Minuchin, the Psychobiological Approach to Couples Therapy (PACT) with its founder Stan Tatkin, Emotion Focused Therapy (EFT) with its founder Sue Johnson, Gottman Couples Therapy, and Michele Weiner-Davis’ Divorce Busting. Dr. Ryan is skilled in a variety of cutting-edge individual therapeutic methods. Due to his skills, therapy training institutes have selected to assist in training professional in their therapeutic methods (including Accelerated Dynamic Experiential Psychotherapy & Functional Analytic Psychotherapy). He is on faculty at Queens College where he trains and supervises Mental Health Counseling students. Fully Accredited by the American Psychological Association. Licensed in New York State since 1987. Dr. Ryan earned his Ph.D. in Clinical Psychology from Hofstra University (1986). PhD: Doctorate in Clinical and School Psychology, Hofstra University, 1986. MS: Clinical and School Psychology, Hofstra University, 1982. BS: Bachelors of Science in Nursing, University of Buffalo, 1979. 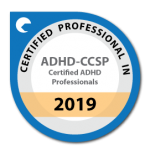 Dr. Ryan continues to invest in lifelong training, including Accelerated Experiential Dynamic Psychotherapy (AEDP) and Structural Family Therapy at the Minuchin Center for Family Therapy. Dr. Ryan is a trainer in the AEDP Institutie Advanced Essential Skills seminar. Click here for details of select advanced training. 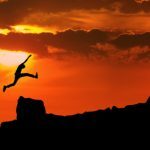 Are you looking for a clinical psychologist in Brooklyn? Call up Dr. Ryan today or just fill out the contact form and press Send.